Liquid Embrace is a rough ‘n’ ready brush font. It was created using a Chinese calligraphy brush and Royal Blue Ink (I had run out of black…). 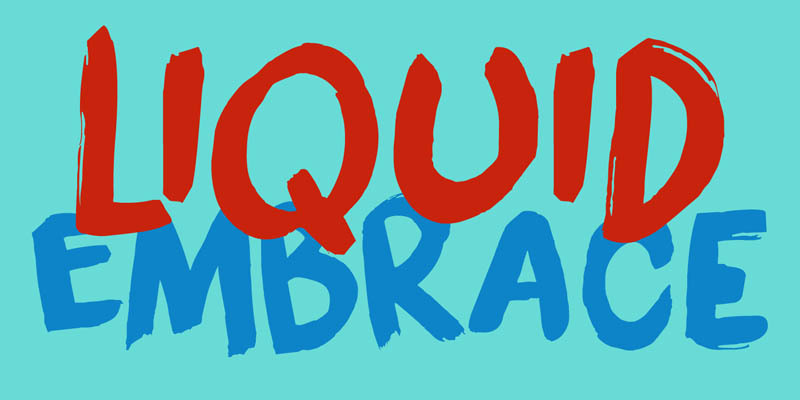 Liquid Embrace is fat and in your face, making your message stand out all the more. Comes with an ocean of diacritics.